Saltburn Primary School unveiled their fantastic new outdoor learning facility in a launch day for pupils, staff and governors today. Miss Williams, one of our Teaching Assistants, was successful in a bid to the National Lottery last year to help support a project for pupils, having been awarded the funding during the summer term. Since then, planning and installation has been carried out by local company ‘Dig It’ as part of their Learning without Walls initiative. Richard Smith, founder of the initiative, says, ‘the area will inspire and motivate the children to explore other learning routes that they would not normally receive inside the classroom; being outdoors opens up a whole new learning aspect’. Found within the campus grounds, the enhanced space has plans not only for curriculum based work, but also a gardening club, herb garden, and family and community learning. 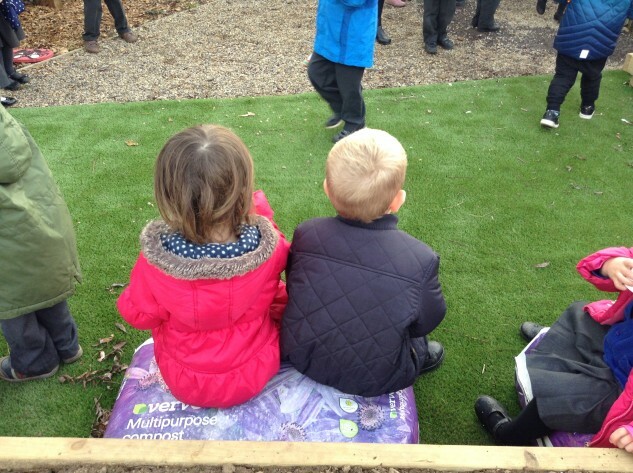 Throughout the launch day, pupils were able to enjoy the various unique features, including a a story area, ‘mini beast hotel’ and hanging CD reflectors, which were designed by the pupils themselves; also a beautiful mini walkway and a special clear-up area. Mr Eyre commented that it is a fabulous resource for the pupils, agreeing that the benefits to their learning are extensive. 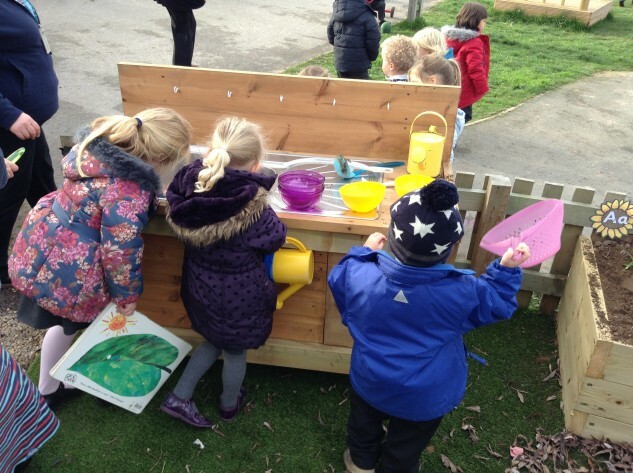 ‘Within Early Years we place a huge importance in the value of outdoor play to aid learning’ Miss Williams told us. ‘A strong emphasis is on the outdoor being an extension of the classroom, allowing the children freedom to play safely whilst learning to take manageable risks. The children’s creativity, problem solving, imagination and resourcefulness are encouraged through the careful selection of resources’, adding ‘allowing the children free expression and movement promotes an overall sense of wellbeing’. are proud of their school and their achievements.